maybe they just changed the name to entice customers to buy ? Great - my lip gloss CRB should arrive tomorrow. Already have a boom juice CRB and Power Y. On their site, lip gloss looks more neon-y. Not impressed! @ toni - that thought crossed my mind, too. 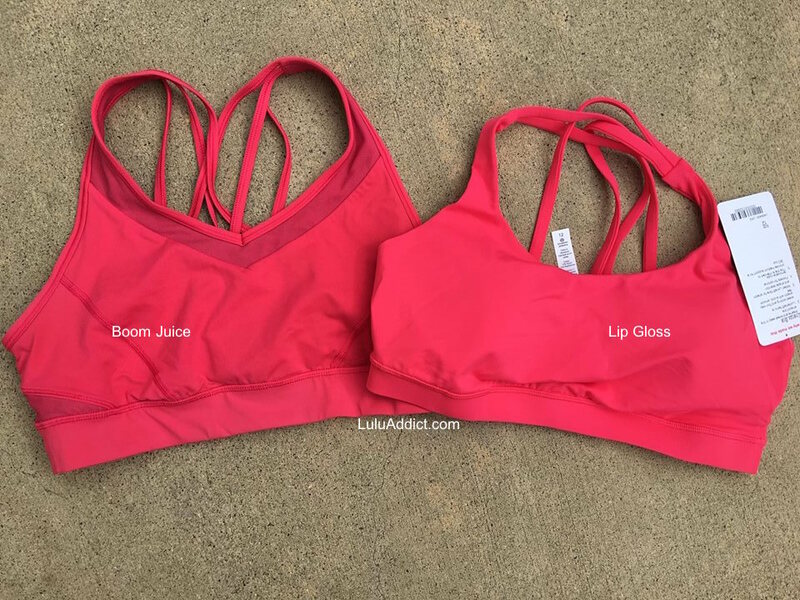 I kept the lip gloss bra b/c I had the boom juice strap it like it's hot. But I returned the lip gloss speed shorts b/c I had boom juice speeds. Honestly there is a slight difference...just not enough to justify in the identical style. The bras I could rationalize. Thanks LLA for doing the comparison. Brother. I thought they looked the same. I have Boom Juice speed shorts and a Lip Gloss CRB. The CRB is lighter, but it may just be the material. Thanks for the comparison love these colors!